Last year Cashman acquired Sonny Gray, Jaime Garcia, David Robertson, Tommy Khanle, and Todd Frazier before the July 31st deadline, which helped drive the Bombers to game seven of the ALCS, but they gave up some of their better prospect in the process. The team has its sights set on a championship, so GM Brian Cashman will undoubtedly upgrade the starting pitching at the deadline, but who and for what? The Yankees currently hold the best winning percentage in the league at .683 with an offense that is on pace to shatter the Mariners single-season home run record. While the team seems almost unbeatable, there are some big chinks in the armor, specifically in the rotation. The Yankees lost Jordan Montgomery to Tommy John surgery last week, and Masahiro Tanaka is out two months with two damaged hamstrings. Luis Severino is a strong candidate for the CY Young award, and CC Sabathia is still fighting off father time, but Sonny Gray is still unreliable. 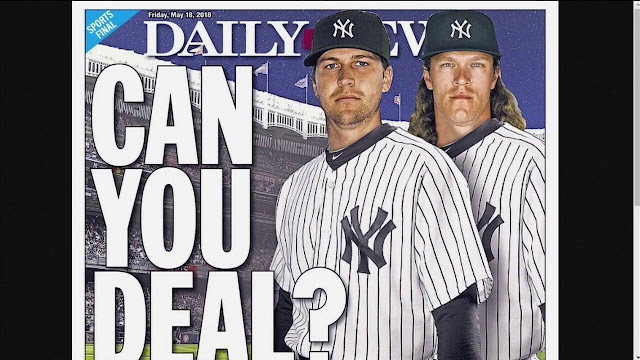 In this series of articles, we will look into various trade possibilities for the Yankees before the July 31st deadline. Note: It is incredibly difficult to predict these trades exactly, as preferences of both teams involved are mostly unknown, so guessing prospects traded is not an exact science. What these articles provide is an entertaining exercise to get to know some possible trade targets and pieces. Enjoy! Let's start with the most tantalizing option for Yankee fans, the possibility of a subway swap for Jacob deGrom. To be perfectly honest this would be smart for the Mets, as the Yankees will be willing to give them the best package for their barren farm system. 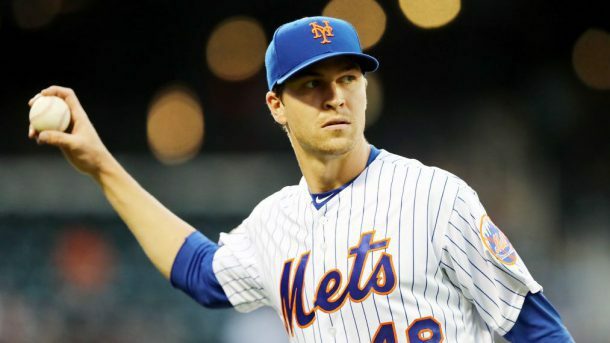 The nearly 30-year-old righty is likely a favorite for the NL Cy Young with a 3.9 WAR, 4-1 record, 1.57 aERA, 1.00 WHIP, 4.61 K/BB, and 0.3 HR/GS in 2018. deGrom also has the postseason pedigree to aid in the Yanks championship quest. It seems like a match made in heaven, but the Mets won’t be so amicable to give over arguably their best player. This move would be a blockbuster trade so the prospect huggers like myself won’t be all to happy with these results, but for a player like deGrom, who has two more years of arbitration, its worth it. To start the Yankees will have to part with one of their top pitching and position player prospects, likely some combination of Chance Adams or Justus Sheffield, and Clint Frazier or Miguel Andujar. 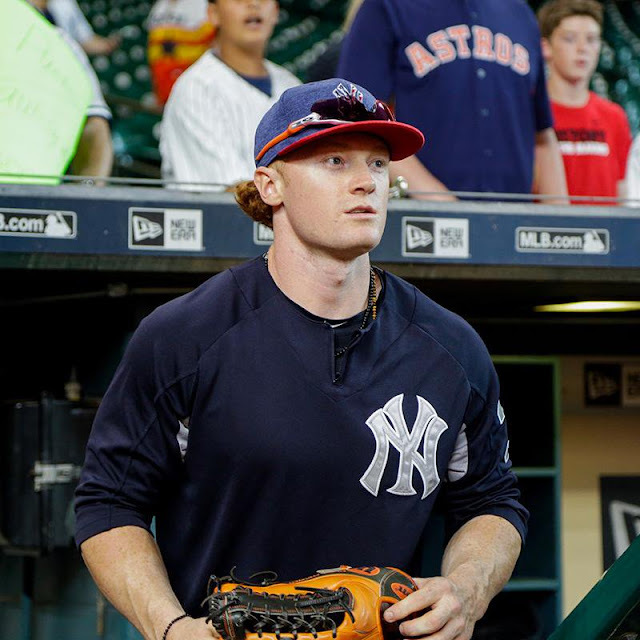 The Mets will start with probably one of the most talented outfield former prospects in baseball, the fiery Clint Frazier. The righty slugger can play all three spots in the outfield and could give the Mets a stacked outfield even without Yoenis Cespedes. 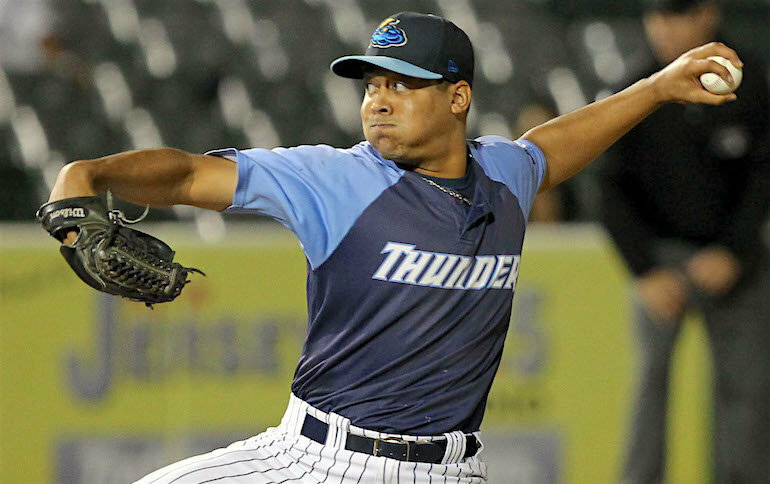 After that let's add Justus Sheffield, since he has the highest upside of the Yankees pitching prospects and is a lefty. With one MLB starter and one upper-level prospect already in this deal, it is unlikely the Mets could realistically demand two more prospects of that caliber. From here it depends on whether the Mets want quality or quantity, they could try to pry another high-level prospect like Estevan Florial or even Chance Adams, but Cashman would be skeptical to sacrifice future trade prospects/franchise contributors for a pitcher in his 30s with a history of injury issues. However, if the trade negotiations got this far, one could assume they’ve weighed the risks and decided deGrom was well worth the sacrifice. If the Mets want quantity, they could ask for someone like middle infielder Thairo Estrada and pitcher Giovanny Gallegos, which would please the Yankees side, but would likely cause the Mets to look elsewhere. I initially had Miguel Andujar in this trade, but Jon Heyman reported the Yankees would not part with Gleyber Torres or Miguel Andujar in any trade. If this report is correct, that means the Yankees may have to part with more prospects than if Miggy was involved. This package is a big sacrifice, but deGrom is too good to pass up on. Frazier is unfortunately blocked to reach the Bronx due to the glut of talent of the Yankees outfield, so his loss doesn’t hurt as bad. Sheffield is a great prospect, but his upside likely isn’t as high as deGrom, so it's worth sending him out. Drury is an interesting player, as he is proving himself in the minors this year with the Yanks, but has two years of MLB experience. The 25-year-old infielder has all the tools to be a good to great MLB starter, but then there’s the migraine issue. Drury was diagnosed with reoccurring ocular migraines, a condition that isn’t ever cured, but just managed which could cause the Mets to hesitate on a potential trade. 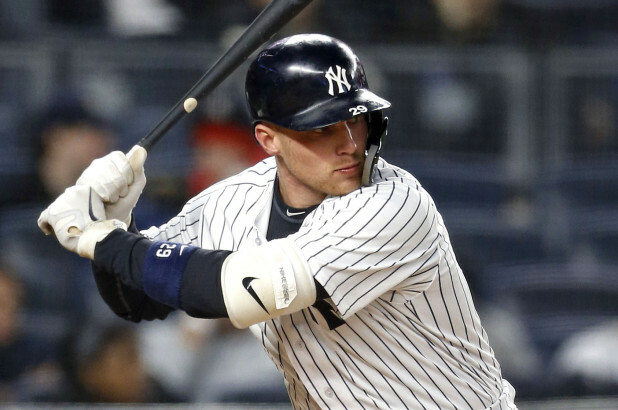 However, Drury has shown no symptoms since his return to the minors and is producing on an elite level, and if the Mets want an instant contributor to go along with the abundance of prospects they are receiving, Drury is their man. With the last piece of the trade, the Mets will pretty much pick their player, likely a pitcher, in this case, Freicer Perez, the Yankees sixth highest ranked prospect. The righty is closer to MLB ready like Sheffield, which makes him an attractive trade piece. The 6’8” 22-year-old utilizes a unique arm slot that makes his already slippery 99 MPH fastball even more challenging to barrel. If the Mets like what they see in Perez they may try to pry him from the Yankees, if not, they may look elsewhere in the system. Overall, this works out well for both teams, as the Yankees get arguably the best one-two punches in the rotation in the MLB to go along with a potent offense. Imagine a postseason rotation where the Yankees trot out Sevy, deGrom, Tanaka, then back to Sevy with Sonny Gray, CC Sabathia, and Domingo German in the pen as long relievers and reserve starters. The Mets revamp entirely their farm system, akin to the Yankees in 2016, and still keep Syndergaard, and could compete again by 2020 if they play their cards right. Stay tuned for more trade possibilities, starting with Rangers lefty Cole Hamels!